The transition of name from the Illinois Institute to Wheaton College came about through the skillful negotiations of Jonathan Blanchard with Warren L. Wheaton. 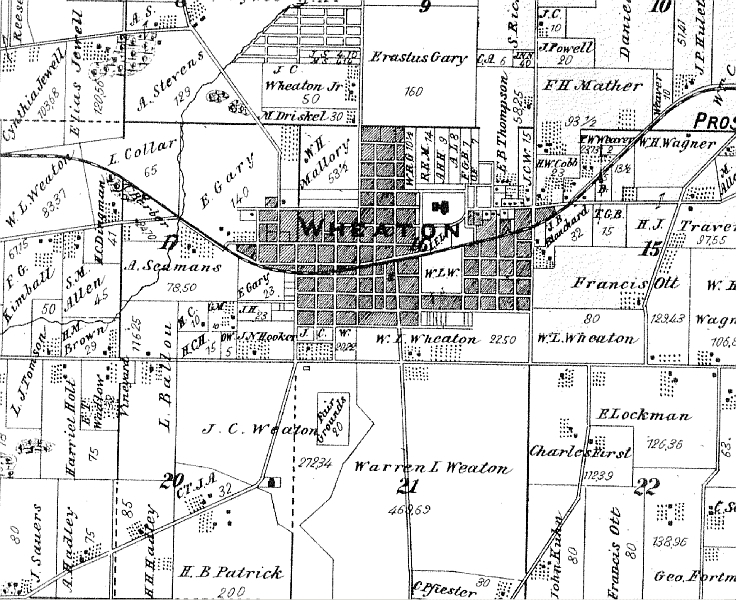 Wheaton, along with his brother Jesse had come to the prairie beyond Chicago from Pomfret, Connecticut in the 1830s. After Blanchard moved to the Institute in 1859 in what had been earlier known as Longtown, Illinois, he persuaded Warren to donate fifty acres of prime real estate that was situated south of the campus beyond the railroad toward present-day Illinois and President streets. In a December 5, 1859 letter to Warren L. Wheaton, Jonathan Blanchard proposed that the Illinois Institute bear his name and become known as Wheaton College — saving, as Blanchard said, Wheaton’s heirs “the expense of a good monument.” Blanchard promised Wheaton that if within five years there were not $25,000 worth of buildings and improvements at the college Wheaton would receive $6,000 compensation. Wheaton later said that he wished that his life would be a suitable monument rather than a college or its buildings.